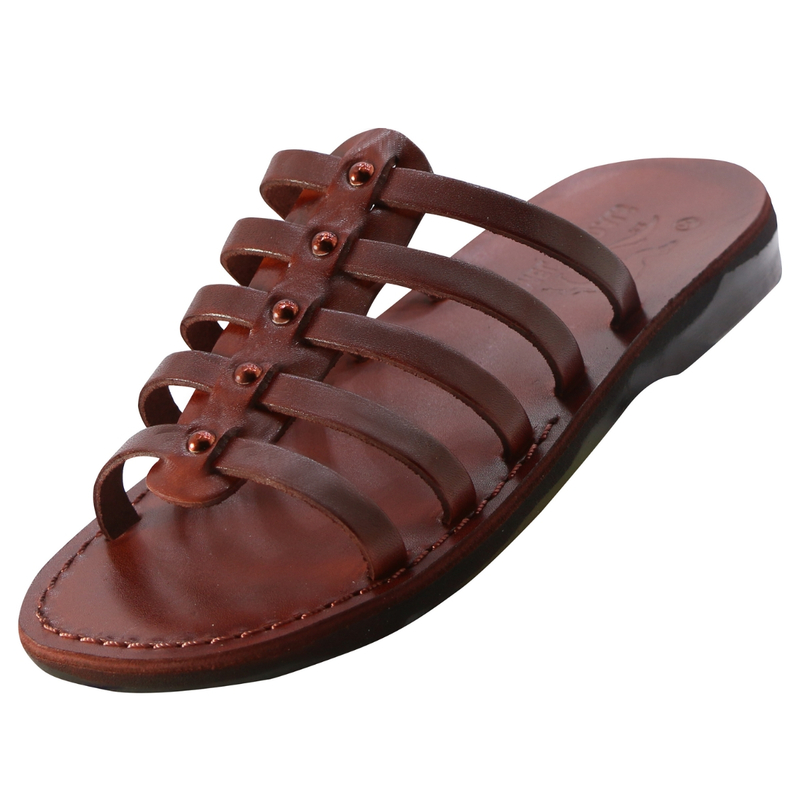 A convenient and comfy pair of sandals that is also stylish is hard to come by, but these wonderful leather Israeli sandals take the title. With supportive rubber soles and high quality leather straps connected in the middle with a strap studded on to each of the many straps going up the sides. Open backed and stylish, they may become your go-to pair of sandals everyday. A good gift or investment in your own feet, you will have this delightful pair for years to come.